Ok. This is currently my favorite Silhouette design I have ever created. Because it’s just so ME! Everything is sketched or hand-lettered by me. And I’m a proud elf. One of my favorite movies in the world is Elf. Maybe I’m even a little bit of a Silhouette elf? I mean, I do bring free, fun files to all the good girls and boys, right? If you’re just an Elf for your self (and your home!) the free download is available below. 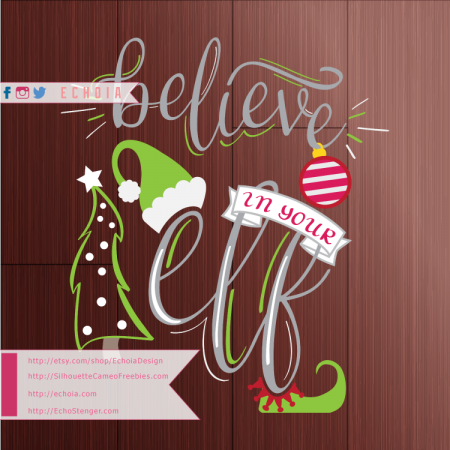 If you need to keep your Christmas lights running by being an elf-for hire, you can purchase a license for this design at EchoiaDesign on Etsy.